The website of KLIFS has been delayed as we are having trouble finding a suitable way to host and continuously update KLIFS. As KLIFS goes through gigabytes of structural data and subsequently processes and annotates the structures, suitable hosting is essential. We want the website to be responsive while allowing the user to browse through the thousands of individual kinase structures and interaction fingerprints. So please be patient and check back with us soon. 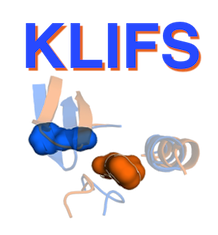 If you are planning on using the KLIFS database for your own research and want to use the updated version of KLIFS, please contact dr. Chris de Graaf and we will try to arrange this.